One slot left in this horror anthology- for a drabble set in 2010’s…. Send your entries to competitions@retreatwest.co.uk by midnight on Sunday, 13th May. Include your story entry, any social media details you wish to share and a brief author bio in the body of the email. One entry will be accepted per person. With prizes, 50 words yes that’s a dribble on TRAVELLING. Enter our FREE short story competition for a chance to win a cash prize and see your winning entry published online! The winner will receive £200 and publication on the Solution Loans website, with £50 and publication for three runners-up. Writers live inside their heads too much? So when we talk to our characters and argue with them, we can say we’re writers not weirdos. Great! This will help hugely with my muttering and singing in supermarkets. Stories from Stone, an anthology of fiction inspired by Undercliffe Cemetery in Bradford, due out in June…. Editing #StoriesfromStone anthology. ‘ . . . but the head on which it perched was severed; its neck jagged flesh; mouth in rictus, fat maggots munching.’ The Hat Box, an excerpt, one of mine. Coming soon. “Twenty years we were wed/Twenty years I shared your bed…..
Drabble accepted/ Authors Shout Cover Wars/ Poem accepted for poetry site…and last of all pics of Roxy…. have accepted a poem of mine for publication in June- nature themed, Rooks Flight and they are currently looking for new pieces. 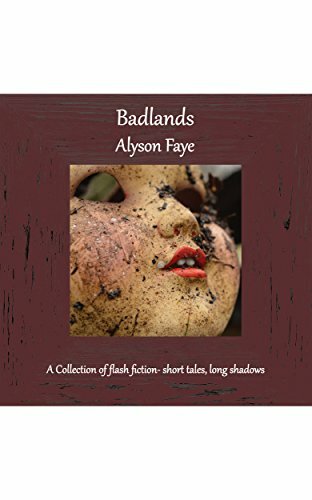 I’ve submitted Badlands and it’s creepy doll cover to compete with other covers on this website- when it goes up for competition I will be asking you all to vote for Badlands- one click is all it takes and it’s great promotion for my collection. 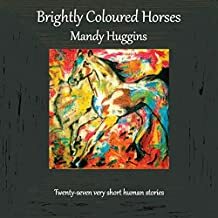 (Mandy Huggins a fellow Chapeltown author won her week with her collection Brightly Coloured Horses which was taken from a painting she did herself). How talented is she! To wrap up this blog post is a pic of our rescue dog, Roxy, chilling out on the patio in last week’s sunshine. Couldn’t get them rotated but promise that’s not a cat’s tail sticking out her mouth in the left one. Good looking aint she? THE MATRIX is my personal favorite of Aycliffe’s supernatural works. There’s a couple of reasons for this; the main one is the setting. Edinburgh is in my heart. I spent a while working there, and over my lifetime I’ve spent many happy hours wandering the streets of the Old and New Towns, and sampling beers in the many great bars to be found. The same streets, and bars, populate this book. But there’s something else here too, ghosts from the great city’s past, always just at the corner of your eye, always reminding you that there are some dark passageways that are best left alone. New project looking for drabbles…. I’m really pleased with the reviews on amazon and elsewhere that ‘Badlands’ has received- but I’d like to keep promoting the book- I’m popping to Salts Mill in Saltaire tomorrow to talk to the manager of the Book shop about stocking some copies. Bradford Libraries bought 5 copies to disperse across the libraries- which I was thrilled about. or I can email you a pdf of the text. Reviews really matter when you’re an indie author- they make a huge difference. Thank you. 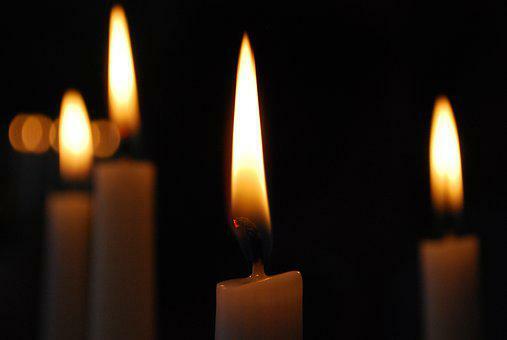 This weekend…Ghost Stories/Submission chance/Horror and DeadCades…. Went to see Yorkshire/Bradford filmed portmanteau horror film starring Martin Freeman- Ghost Stories – written by Jeremy Dyson- which had great atmosphere and creepy as heck effects but was let down by the ending I thought. However so wonderful to see a Brit ghost/horror film get such a wide release. Decided to take the plunge and send in ‘Badlands‘ for consideration for the Read Regional 2019 submissions run by New Writing North – they don’t have a category for flash fiction collections but the form is taking off and is everywhere so I figure it’s only a matter of time before flash breaks the barriers. 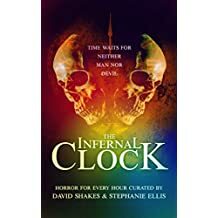 which I strongly recommend if you have any interest in vintage TV shows of sci/fi and horror genres and books and ghost stories- it’s like an online bazaar of goodies which you can dip into- covering music/films/art/books all linked by ghosty/horror themes. Why not have a go? Dip your writing hand into those slimy fictional entrails, and dig deep. 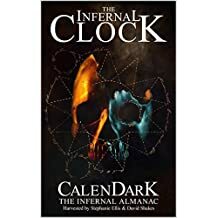 so go to amazon, download and read, please- the first 2 books in the Infernal clock trilogy- you won’t be disappointed. They are scary, entertaining, original and creepy. Meanwhile…. I have a first draft of my contribution to DeadCades, my story set in the 1920’s is based on a drabble published by the Horror Tree called Puppet Master and I’m very excited about it. It’s set in Birmingham, is 5000 words approx, and is I think one of the best of my recent stories. Haven’t finalised the title yet. All of this helps make up for a long pointless and stressful phone call today to PetPlan about Roxy’s insurance- nightmare – hoops, loops and barriers- I made the mistake of saying my rescue dog, from Ireland, probably neglected and locked in a cage at one time was ‘timid’- well who wouldn’t be after that sort of start in life? Timid is clearly a major red flashing buzzword to Pet Plan- they clearly only want to insure a perfect animal which like a perfect human does not exist. Mini rant over. We love Roxy more with each passing week and she has changed our family life. A 5 week creative writing course Wednesday 23 May to 20 June 2018 inclusive: 10am – 12pm. You can book through the website, phone or pop in to the Craft House- there are a max of 6 places. I am also running a stand alone writing workshop on Friday 4 May 10-1pm at the Craft House- on writing/editing and submitting short stories.